Home and Gardening With Liz: A Tuscan Themed Wedding! son and his lovely new bride! wedding to honor their heritage! before the reception got underway! outdoor location called Brandywine Manor House under this elegantly appointed room. as a gift to one person at each table. cards and identified their table from there! Isn't it neat how they prepared all this! using for the gift cards to be dropped into! bar area at the end. pewter bride and groom centerpiece! The cake stand was awesome too! Angela also had a "grooms" cake made! I love the Birdcage they ware using for the gift cards so sweet. The Sunflowers for the centerpiece was so Tuscan just Beautiful, the cakes for the this wedding day are a Piece of Art. 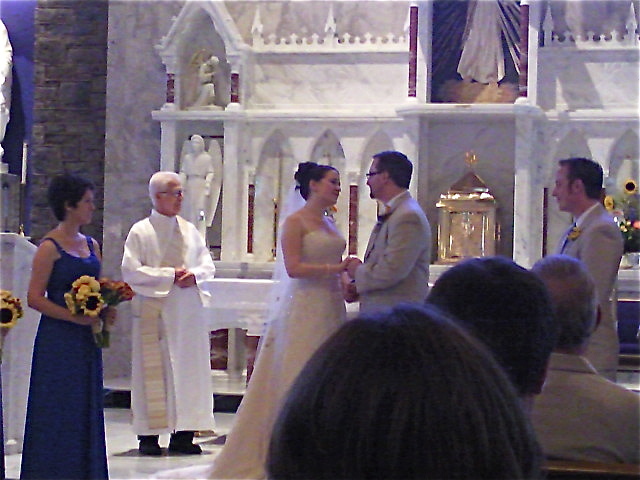 What a gorgeous wedding, Liz! How elegant! I LOVE the birdcage for the gift cards! That is a brilliant idea! The cake is gorgeous too! Liz - it must have been a beautiful wedding! The sunflowers are such a unique and wonderful choice. They symbolize happiness, adoration and longevity - so appropriate for two people beginning their lives together. Liz, this is just sooo beautiful! What a glorious day you must've had! All the pictures are just lovely, from the gorgeous flowers (love the colors), to the clever, creative seating cards, and the adorable bird cage! Most of all--the bride and groom look lovely and so in love! It's like a fairy tale! Adorable cakes, too! Congratulations! Time flies by, doesn't it? And now you have a beautiful daughter, maybe grandchildren next? That would be a blessing, huh? Thanks for sharing--I'm so happy for you and your family! 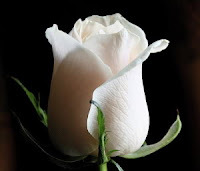 Lovely pictures of a lovely memorable day for you!!! Thank you for sharing your pictures of the beautiful reception! 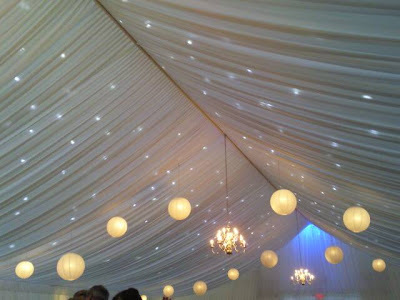 The tent looks so dreamy with all the gathered lining and lights in the ceiling. What a beautiful wedding it must have been. Congrats Liz. The cake are stunning and your pictures lovely. Oh, congratulations are definitely in order!!! What a beautiful bride and handsome groom and beautiful wedding, too!! I LOVE all the Tuscan theme elements INFUSED into the wedding! Especially the sunflowers/the gorgeous cake!!! OMGosh even the church was gorgeous! And a beautiful couple too! What a beautiful wedding. Everything looks just perfect. Congratulations to the new couple! Gorgeous! As a (happily!) retired wedding designer, I can totally appreciate all the thought and work that went into this reception. Absolutely fabulous! Congratulations to your family! I always love to see wedding pics! Your son's wedding looked beautiful. I love the choice of sunflowers, and that cake (both cakes, really) is gorgeous! Oh my goodness it all looks so beautiful and oh so tasteful!! Love all of the colors she used. They look like such a great couple. What a spectacular wedding and reception it must have been, Liz! I loved seeing the photos. The way they combined elegance and simplicity seems totally fresh -- tradition with modern touches. The groom's cake was a work of art! What a charming way to celebrate their musical interests and talents. Wishing the newlyweds, and you of course, great happiness! Oh my goodness, how gorgeous!!! I LOVE the sunflowers everywhere!! The groom's cake is too cute...I need one for my husband! Beautiful photos!! Thanks for stopping by!! What a fabulous wedding and theme! I may be slightly prejudiced. lol I loved my trip to Tuscany last October, but too late to enjoy the fields of sunflowers. They bloom in June! Congrats to your son and new Daughter-in-love!